Once you have finished ordering the perfect balloons for your upcoming party, you should head over to thebigparty.ie and shop for the perfect party supplies. The Big Party stock Ireland’s best range of party decorations, party tableware, pinatas, party accessories and more. 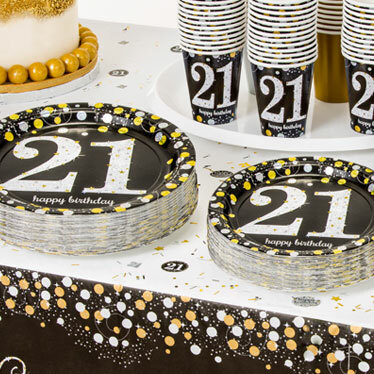 Milestone Birthdays – The Big Party stock decorations, tableware, banners, candles, badges and more for every birthday from 1st birthday up to 100th birthday. They have huge party ranges for 18th, 21st, 30th, 40th, 50th and 60th birthday parties. Kids Party – The Big Party stock Paw Patrol, Fireman Sam, Doc McStuffins, Spongebob Squarepants, Toy Story and more kids party ranges. They even have a huge Disney party range. Themed Parties – The Big Party stock themed party decorations and tableware for Hawaiian themed parties, 50s/60s/70s/80s themed parties, Casino themed parties, Hollywood themed parties and more. Hen Party – You can shop for hen party sashes, decorations, hen party games and bride to be accessories on thebigparty.ie now. Baby Shower – The Big Party stock baby shower games, decorations and even have gender reveal party supplies. Christening – You can shop for baby girl or baby boy Christening party decorations, favours and tableware. Party Packs – The Big Party stock party packs for kids parties, hen parties, Christenings, Baby Showers and themed parties.